I’m going to come right out and say it. This is one of my proudest makes to date. 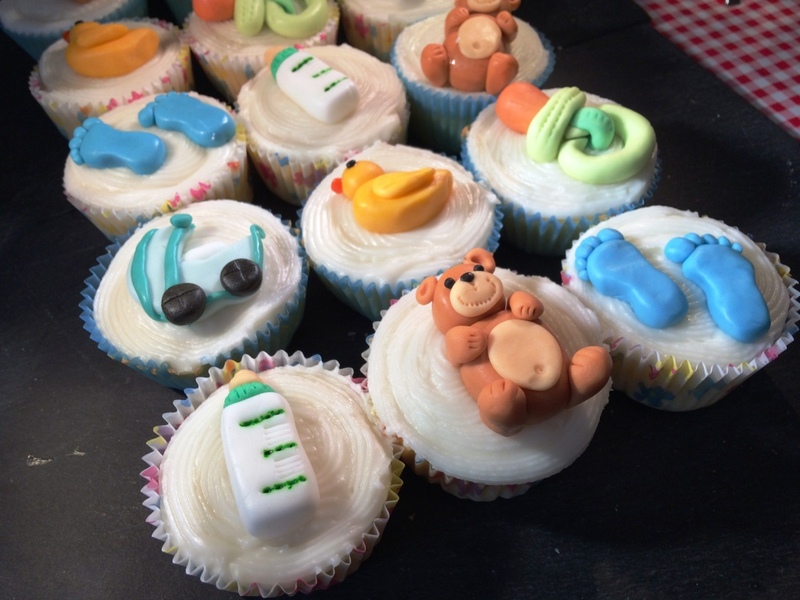 I am SO pleased with how the fondant toppers turned out for these cupcakes – and so they should, god only knows how many hours they took! 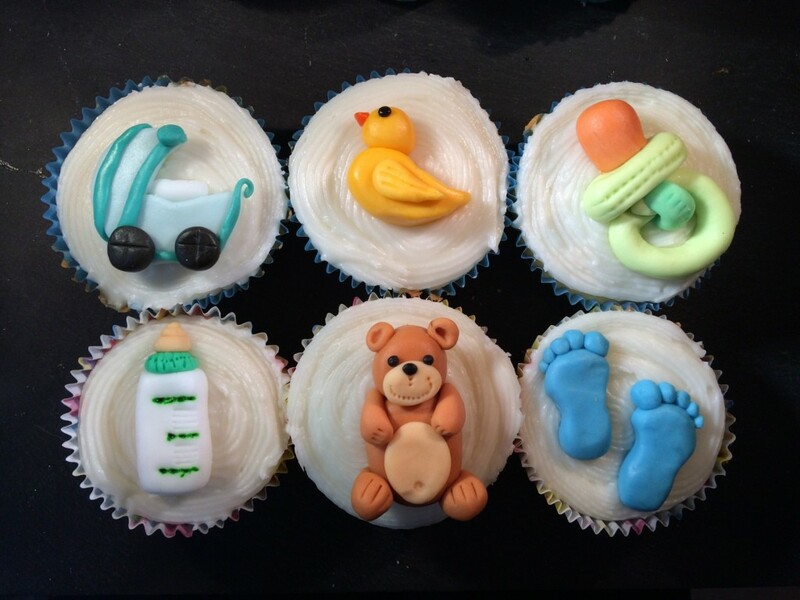 This was my first ever baby shower, and I was so pleased to be able to make some cupcakes for the lovely mother-to-be. She and the rest of the party were delighted, as was I when they went down a treat. 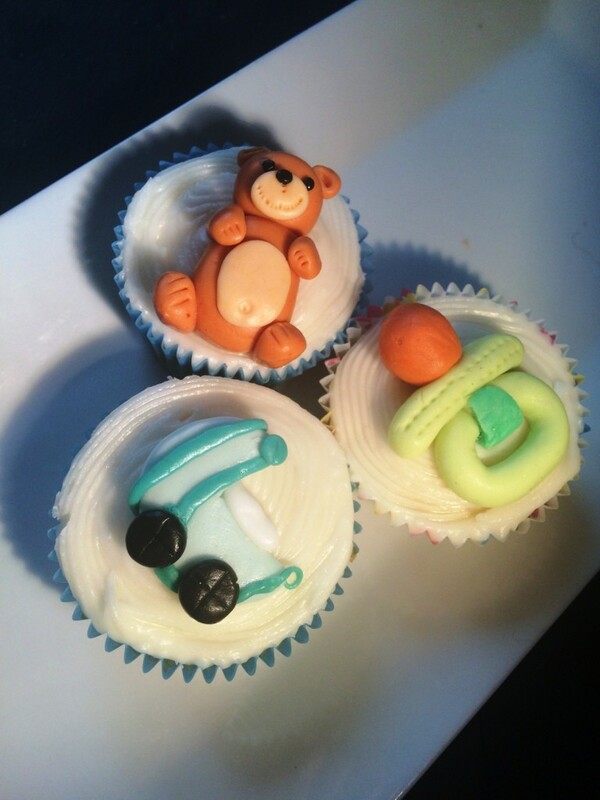 The base was a light lemon cupcake, with whipped lemon buttercream, but of course the pièce de résistance are the fondant baby-themed toppers. 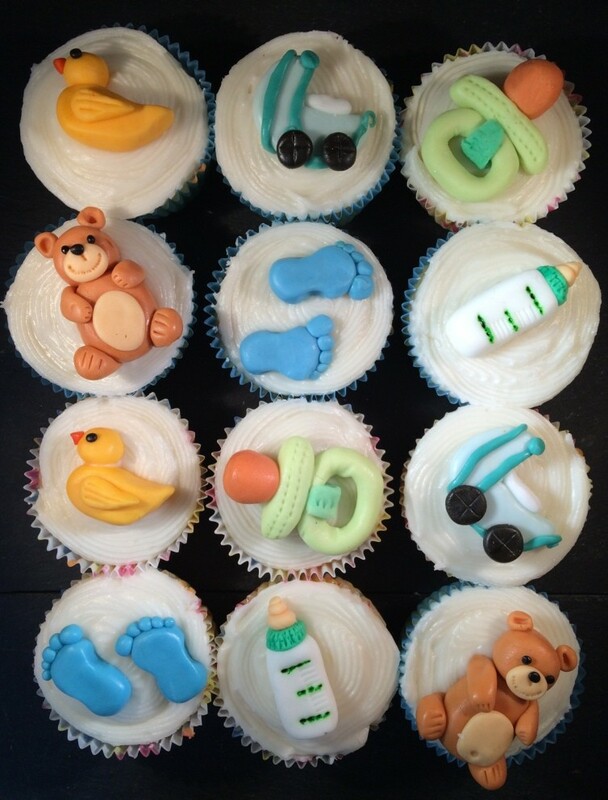 You may guess from the colour palette that it’s a boy! All the toppers are hand-made of course. 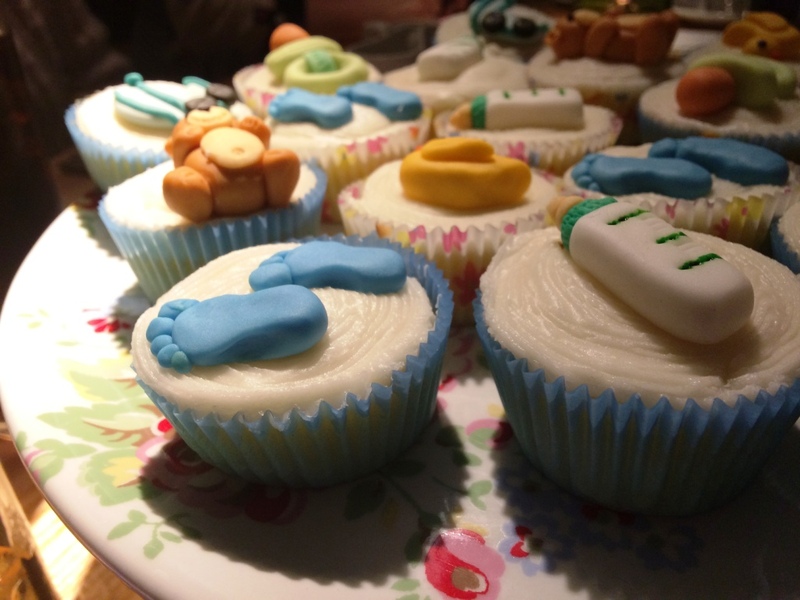 Although one of the party asked if I’d bought them – what a compliment! I tend to get an idea for my projects then spend a bit of time on google looking at images for further inspiration and to figure out how I’m going to make the idea a reality. 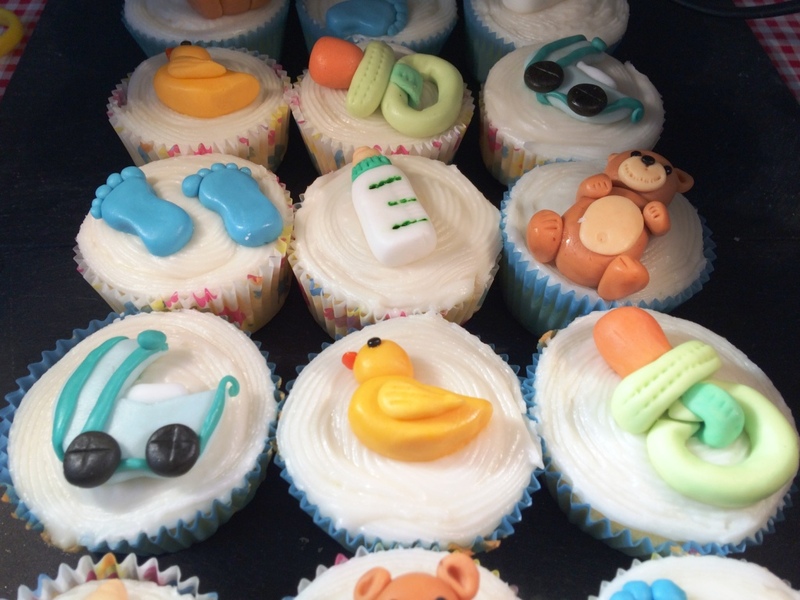 That was exactly the case with these – I sat with google image search open on my iPad with all my fondant and tools in front on the table, colouring and shaping the pieces and fixing together with a little edible glue. 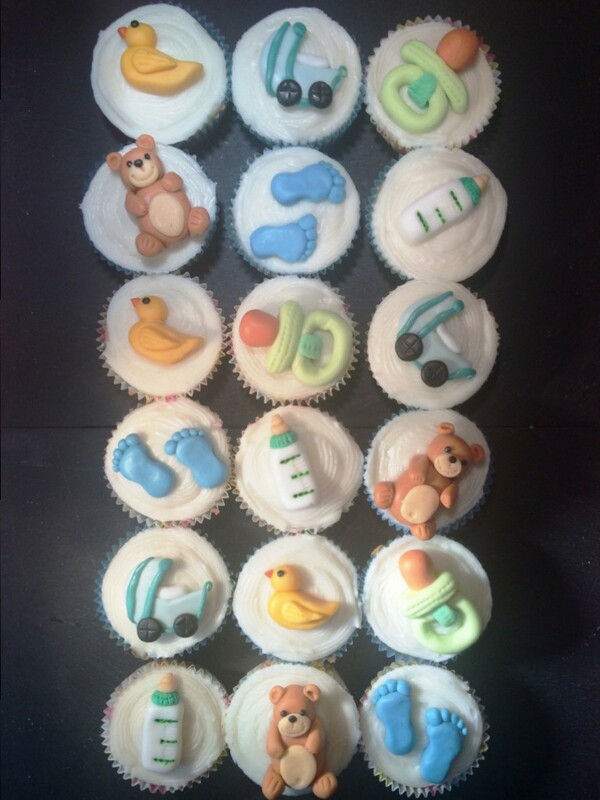 I had 18 cupcakes in total, so decided to make 3 of each of 6 different varieties of topper. 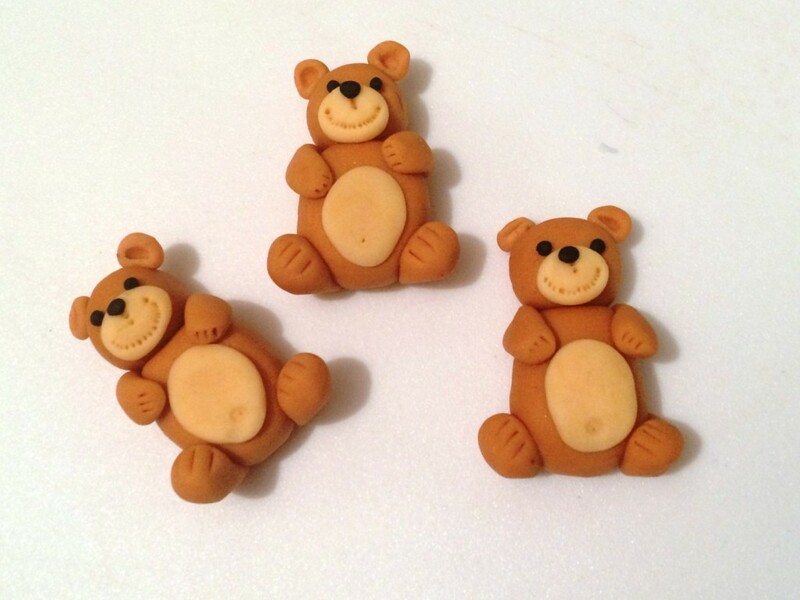 First up – and probably taking the longest to make, smiley happy teddy bears. 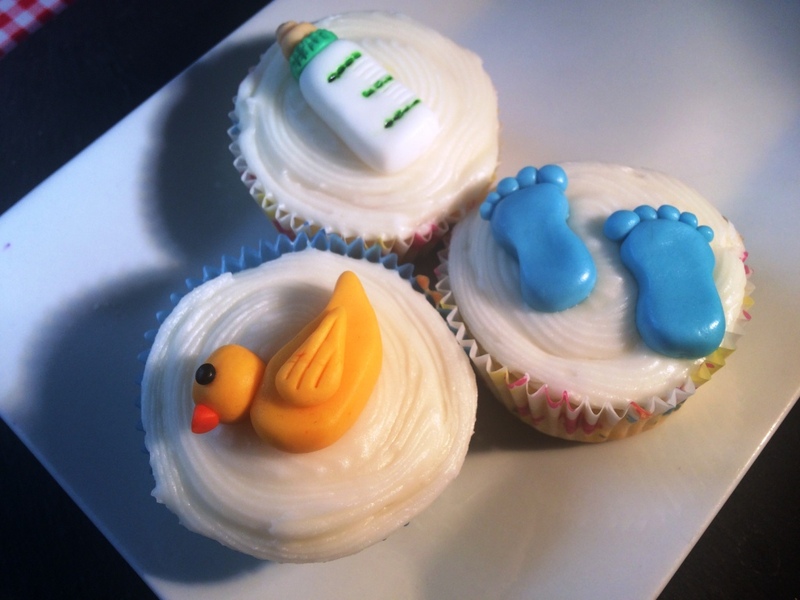 Teeny tiny baby footprints – blue for a boy, of course. 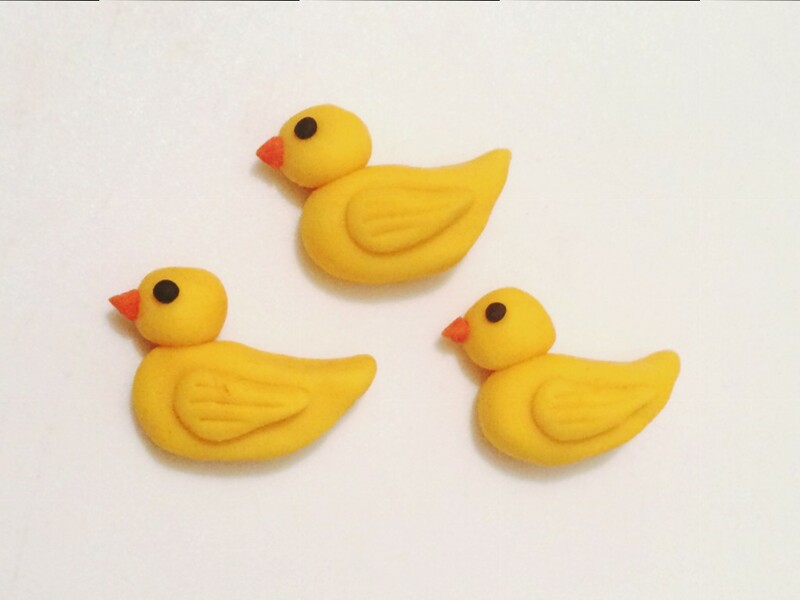 Three little ducks; these were great fun to make. Can someone please have a fowl-themed party, so I can do some more?! 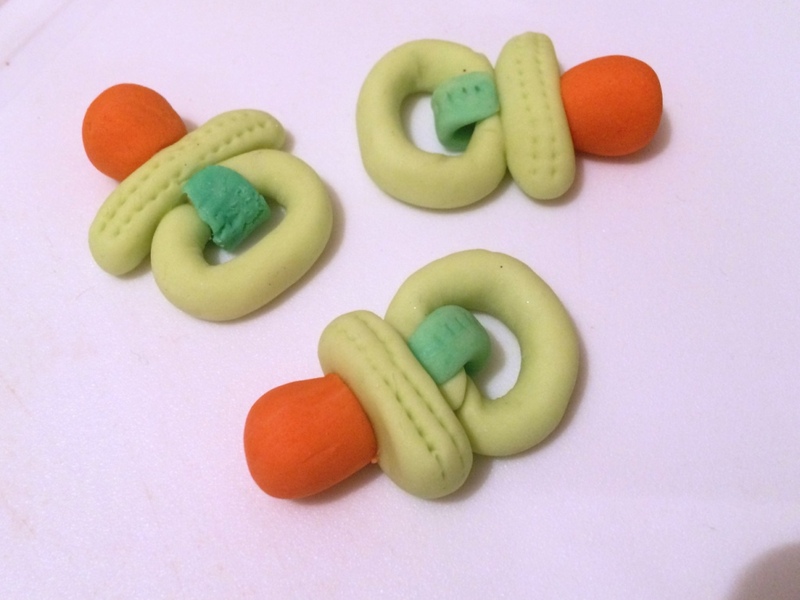 Baby dummies (pacifiers) – I used a pastel green so the colour palette was not overwhelmingly blue. 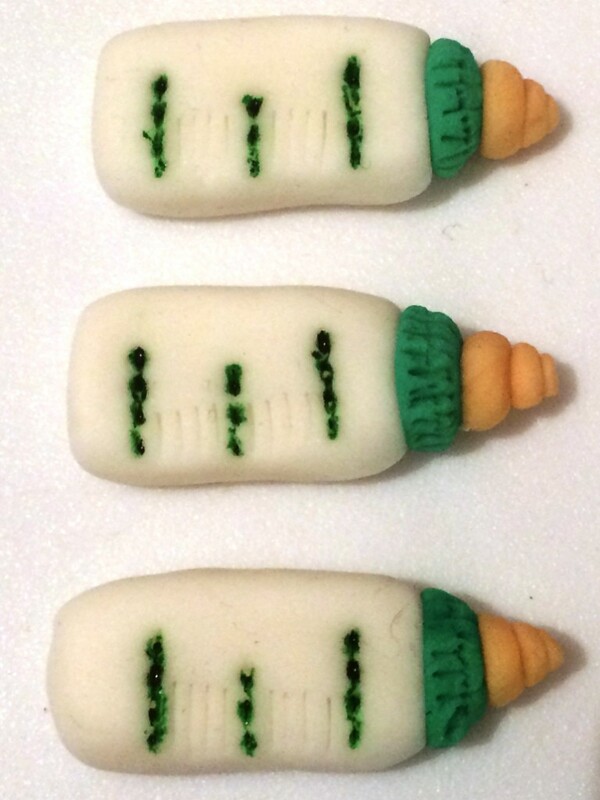 Teat-topped milk bottles, with hand-painted markers, using a little gel food colour and a very fine brush. 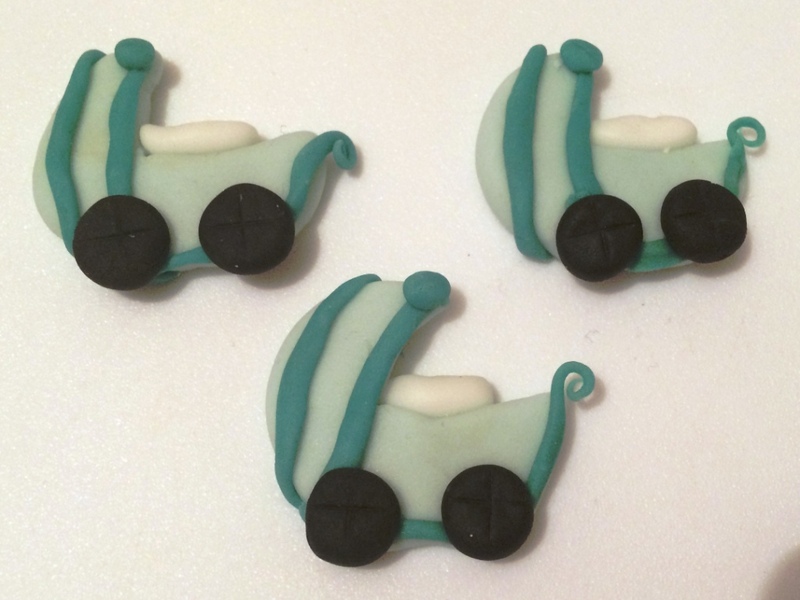 And finally – what every baby needs, a first set of wheels! Turquoise prams complete with little white cushions inside. 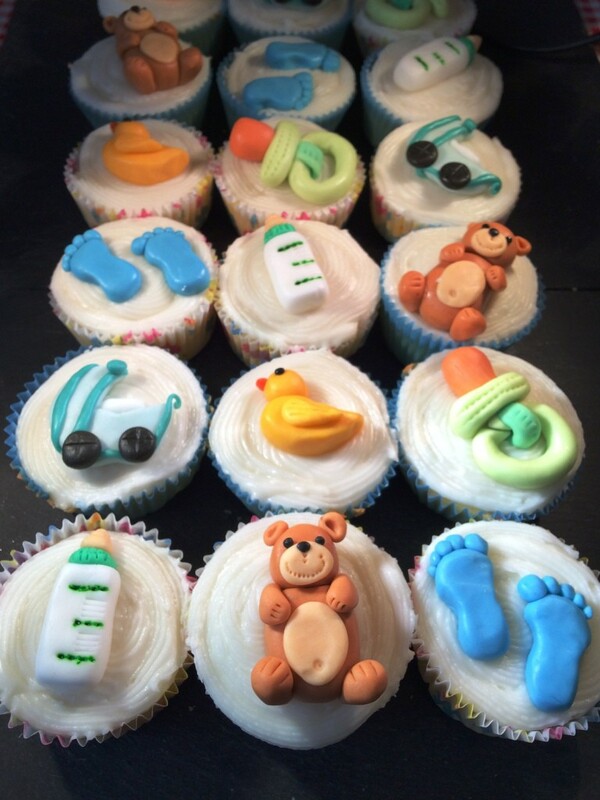 The finished set – absolutely love them! 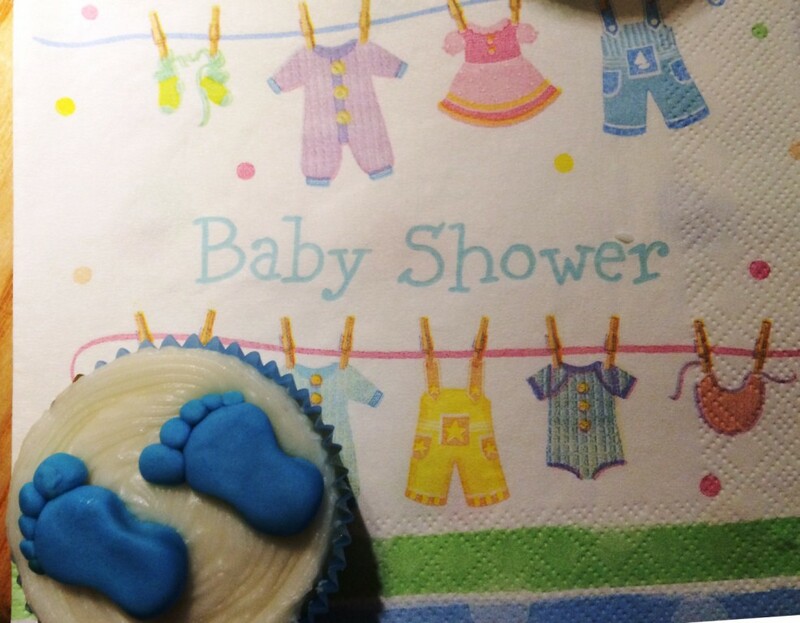 I took my Cath Kidston blue floral cake stand to the shower – a perfect display piece for these little babies. HOW cute are these baby shower napkins? The only problem I have? That I can’t pick a favourite! What do you think? 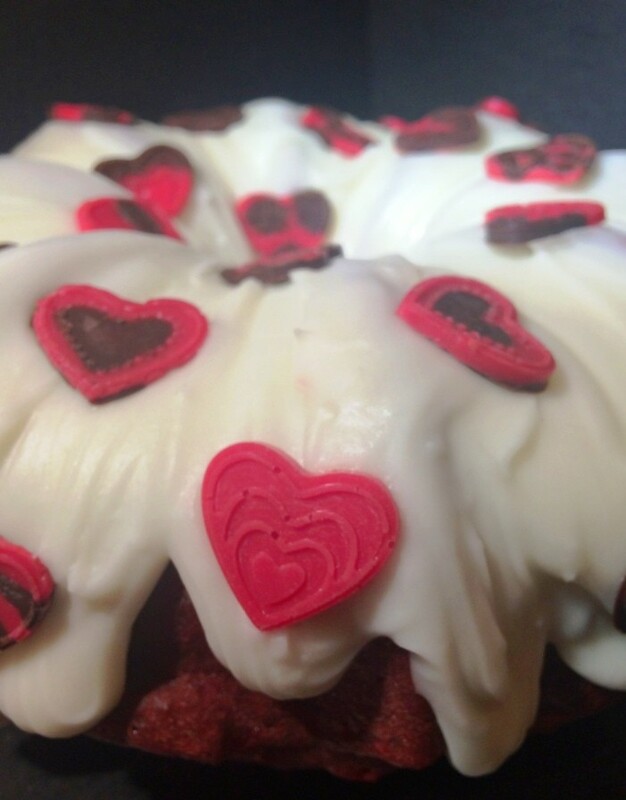 Continuing in what has become an annual tradition, what would valentine’s day be without a red velvet cake? 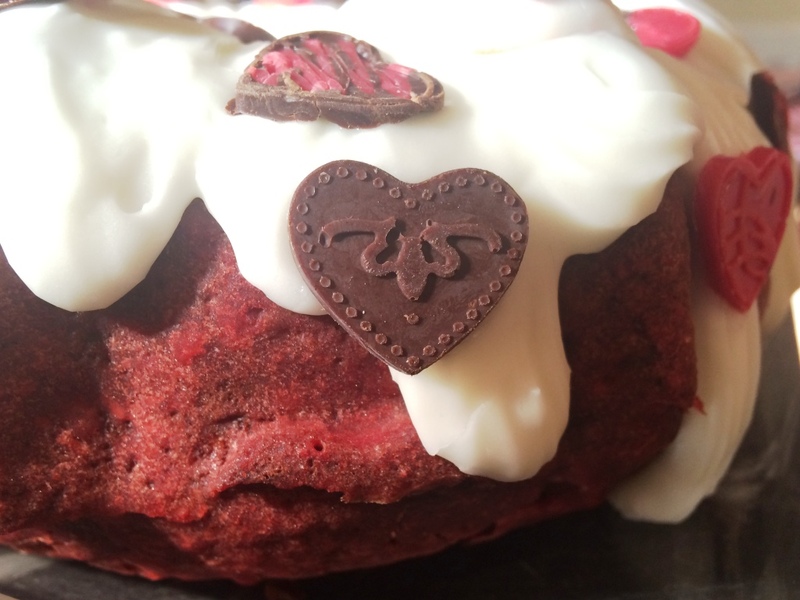 This year I decided to mix it up (no pun intended) and try a different recipe – red velvet cake made with… beetroot! 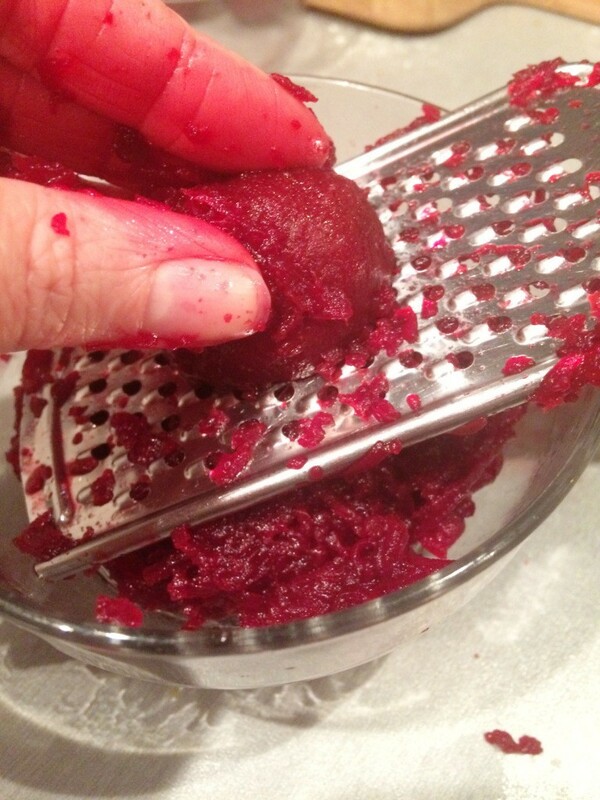 The colour is a great natural alternative to the normally used red food colouring, and the texture of the beetroot makes the cake lovely and moist. The recipe I used is this one from All Recipes. 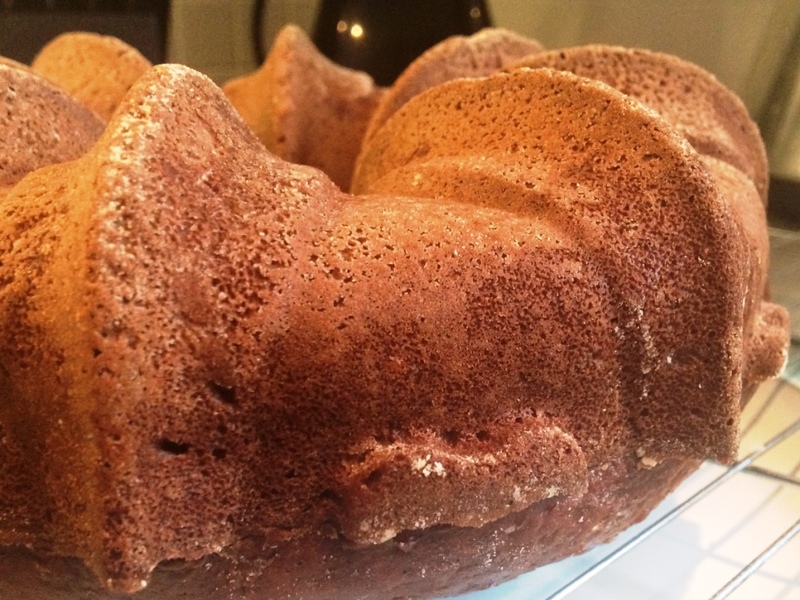 The rest of the recipe was really easy to follow, and filled up by bundt tin perfectly. Once baked, the cake smelt amazing although I was a little disappointed by the lack of, well, red-ness! Maybe it could have done with less cocoa? 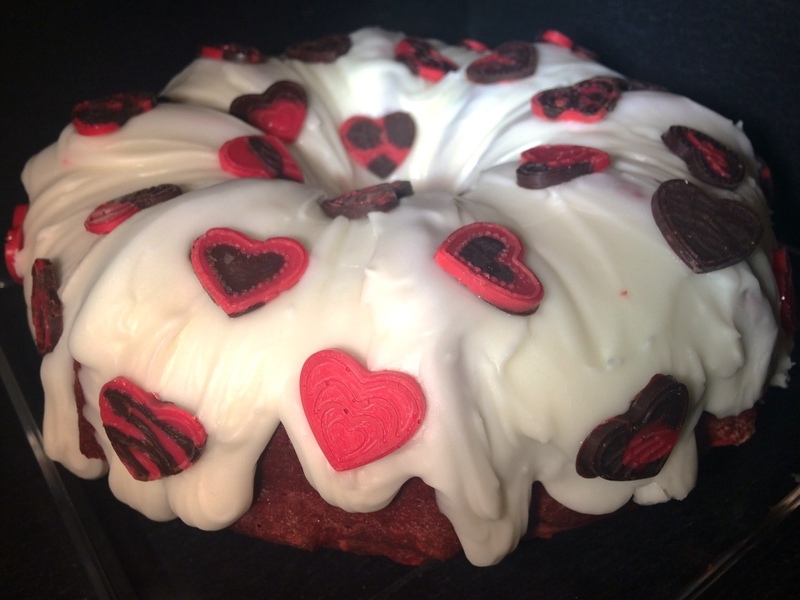 But if you can’t paint a cake red on valentine’s day, then when can you? 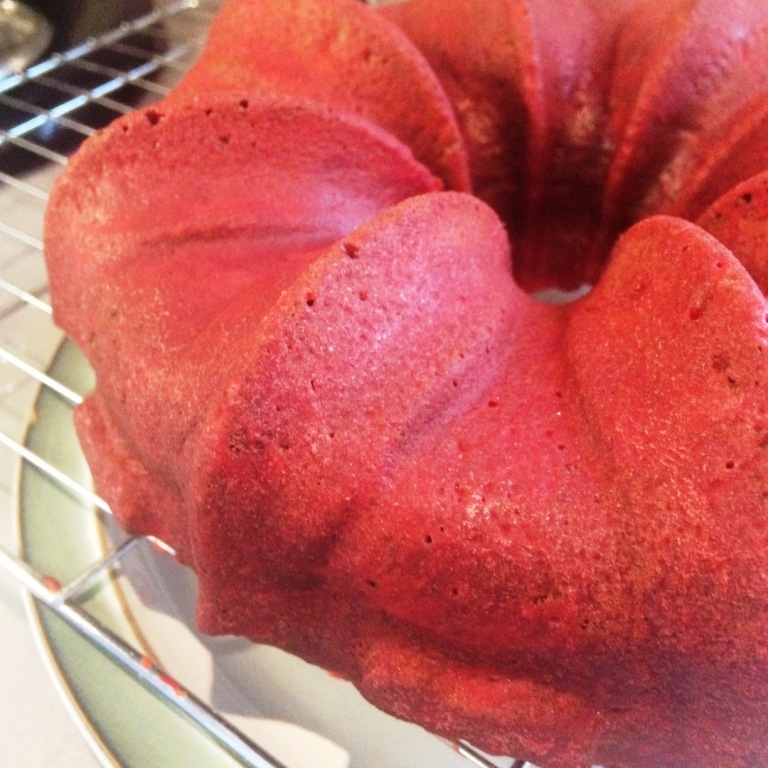 I applied a light glaze all over, using a couple of drops of red food colouring, 2 tablespoons of icing sugar, and enough water to make a light paste. Much more satisfyingly red! 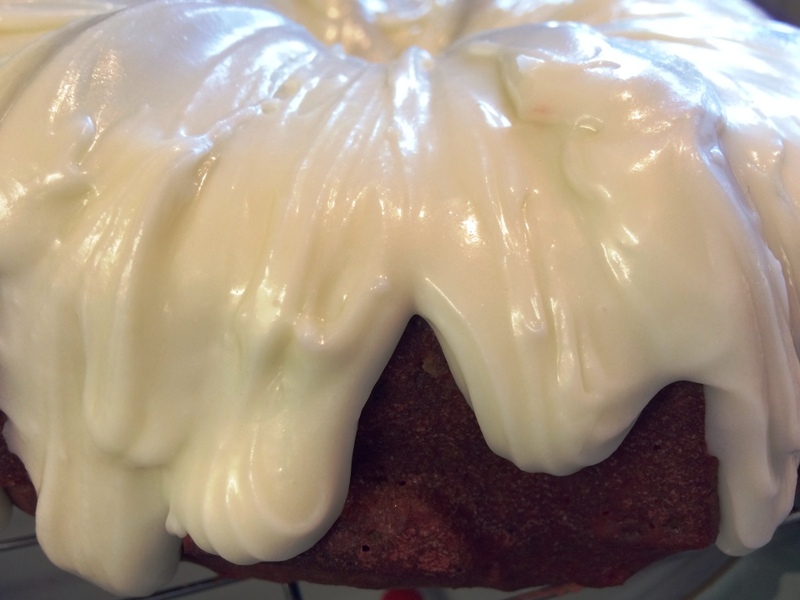 I made my cream cheese icing thick and plentiful, drizzling it all over the top of the bundt. 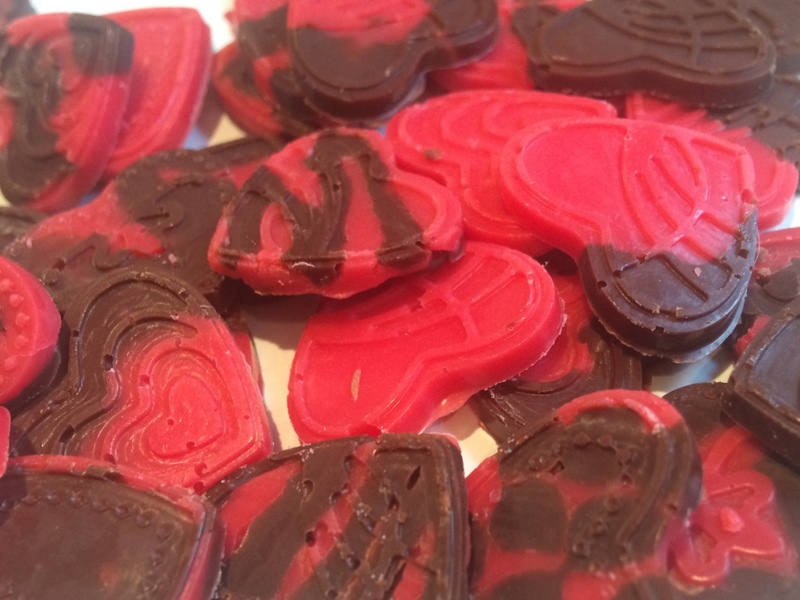 To finish, I used a thin silicon mould to create some hearts out of dark chocolate and red candy melts. 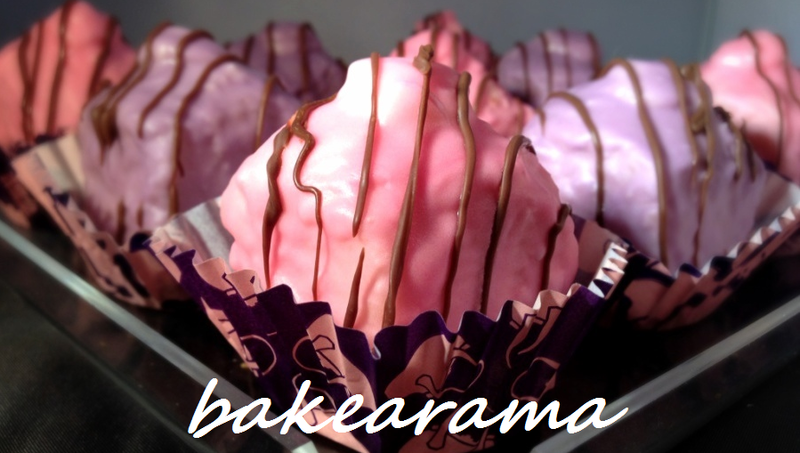 These ones were actually Renshaw Colour Melts – I like these ones as they don’t taste as artificial as some of the others. 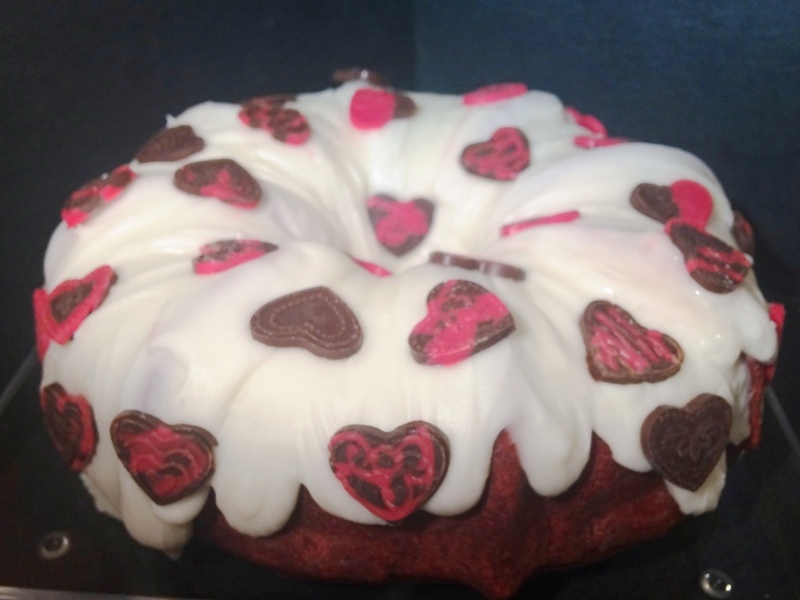 Adorned with hearts – et voila, my red velvet cake masterpiece!